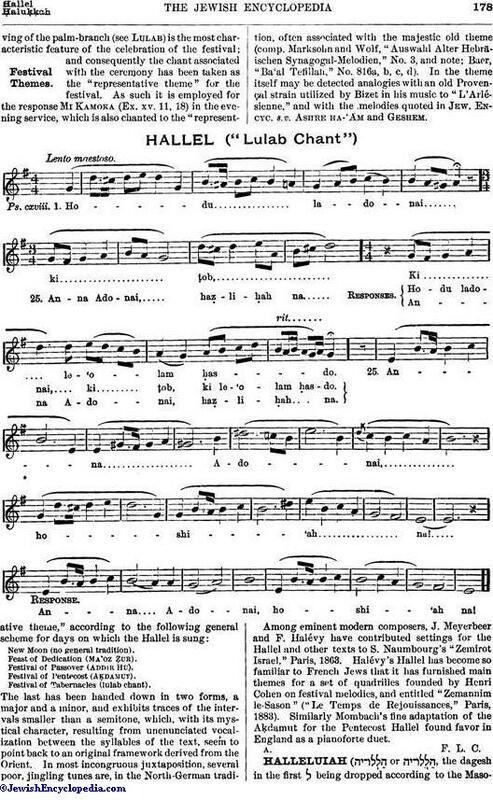 A doxological expression signifying "Praise ye the Lord," the sacred name being shortened to its first two letters. Except in Ps. cxxxv. 3 it is found only at the beginnings or ends of psalms; namely, civ., cv., end; cvi., beginning and end; cxiii., beginning; cxv., cxvi., cxvii., end; cxxxv., cxlvi., cxlvii., cxlviii., cxlix., cl., beginning and end. In some of these psalms, e.g., cxiii., cxlviii., cl., this opening phrase is developed in the words which follow it; in others, such as cxi. and cxii., it does not run naturally into the psalm, and seems to have been prefixed by the authorities of the Temple to fit the psalm into public worship. 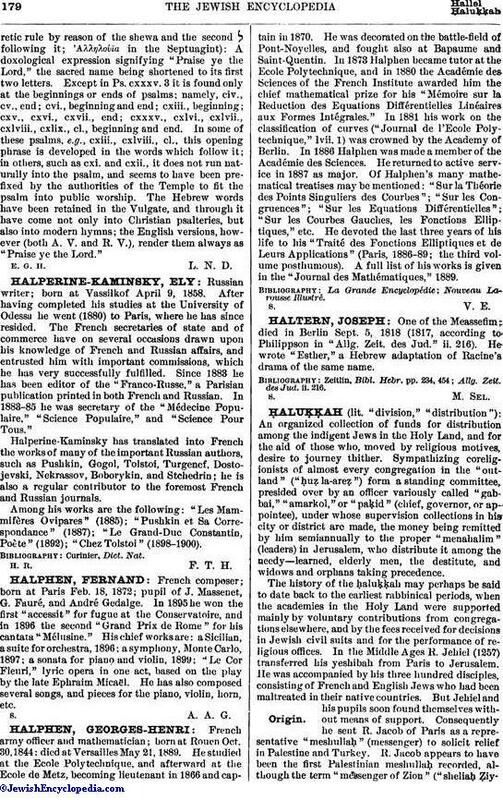 The Hebrew words have been retained in the Vulgate, and through it have come not only into Christian psalteries, but also into modern hymns; the English versions, however (both A. V. and R. V.), render them always as "Praise ye the Lord." E. G. H. L. N. D.